You can see following places in Valley of Flowers, during your visit to this place. Badrinath Temple is one of the most sacred temples in Badrinath District. Situated at the banks of Alaknanda River surrounded by Nana Parvat, Badrinath Temple is dedicated to Lord Vishnu. The temple was established by saint philosopher Adi Shankaracharya in 8th Century and holds a small cupola of gilt bull and spire and is built in the shape of a cone. The Badrinath temple is well known for its Badrinath deity sculpted in black stone, which is around one meter large and represents Lord Vishnu seated in contemplative pose. The name entrance gate of Badrinath temple is called as “Singh Dwara” which is major center of attraction of Temple. Besides this, the temple has stunning 15 idols of different Hindu gods. 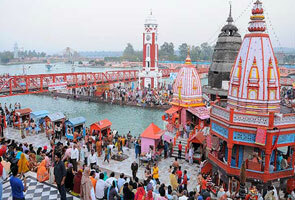 Millions of domestic as well as foreign travelers and devotees went to this holy place every year from May- Oct month. This sacred place is just 21 kms ahead from Govindghat. Located at the distance of 64 kilometer from Joshimath, Mana is very near to Tibet border and it is one of the end villages of our country. It is occupied by Indo-Mongolian tribes often referred as Bhotias. 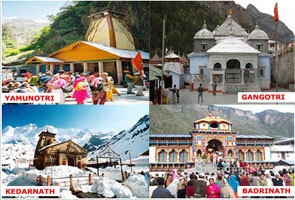 Most of the travelers who visit Badrinath also come to glimpse the end of the road at Mana. This place is just 24 kms away from Govindghat and Bheem pul, Ganesh Gufa, Vyas cave are such places that you can also see here. Located at a distance of 26 kilometers from Govindghat and sets at an altitude of 1,890 meters above sea level, Joshimath is one of the four 'math' formed by Saint Philosopher Adi Guru Shankaracharya. It is considered as the dwelling of Shri Badrinath during winters. 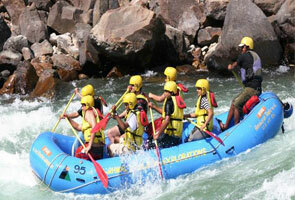 This place is conveniently connected with Auli by premier cable car of Asia. 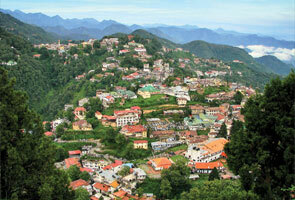 It is worth watching destination in Uttrakhand. Located at the distance of 40 kilometers from Govindghat, Auli is best tourist destination and adventurous spot for people who seek for adventure as it is most popular skiing and paragliding location of Uttarakhand. This place is starting point of the trek to Valley of Flowers. Auli gives amazing and a mind blowing view of the enchanting snow covered Himalayan range and is located at an altitude of 3050 meters above sea level. Auli is also well connected with motorable roads and must to watch destination while your visit at Badrinath.